Covers the three mandatory units of the EAL Level 2 Diploma in Engineering and Technology * Each compulsory unit is covered in detail with activities, practice exercises and examples where relevant * Review questions are provided at the end of each chapter and a sample multiple-choice examination paper is included at the end of the book * Contains expert advice that has been written in collaboration with EAL to ensure that it covers what learners need to know * Answers to selected questions in the book, together with other supporting resources, can be found at the book's companion website. Numerical answers are provided in the book itself. 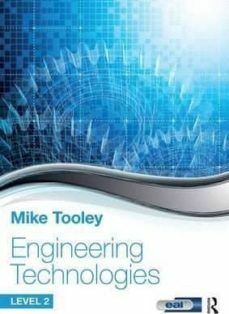 Written specifically for the EAL Level 2 Diploma in Engineering and Technology, this book covers the three mandatory units on this course: Engineering Environment Awareness, Engineering Techniques, and Engineering Principles. Within each unit, the Learning Outcomes are covered in detail and the book includes activities and test your knowledge sections to check your understanding. At the end of each chapter is a checklist to make sure you have achieved each objective before you move onto the next section. Online, you can download answers to selected questions found within the book, as well as reference material and resources to support several other EAL units. This book is a must have for all learners studying for their EAL Level 2 Diploma award in Engineering and Technology and contains all of the essential knowledge you need to complete this course.